If Ubisoft’s job listings are anything to go by, there are big things in store for The Division. The company is seeking a raft of new hires to work on the two-year-old game in their Malmö, Sweden studio Massive Entertainment. Just starting out as an agent? 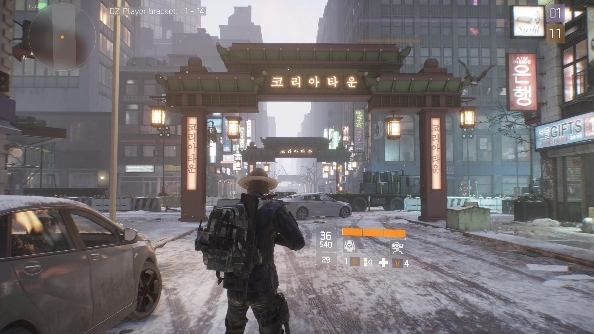 Check out our new player’s guide to The Division. After a rocky launch in 2016, The Division found its footing later that year, and players continued to trickle in. Seemingly surprised by the game’s eventual success, Massive added free updates and DLC to the snow-covered shooter, but said they didn’t have plans for more narrative content as the game went into its second year. Heading into year three after 20 million sales across platforms, it appears as though The Division will be expanding again. Ubisoft has advertised 25 job openings associated with the game on their careers page, and these include a narrative designer, a technical game designer, senior level artist, senior concept artist, and an associate producer. Between the sheer number of jobs posted for the game and the types of positions advertised, it sure sounds as though Ubisoft have major plans in store for The Division – although it’s not clear whether that’s in the form of expansions to the existing game or a full sequel. For now, The Division is running a month-long celebration event marking two years and 20 million players. It’ll run through March 29 and feature weekly global events, where players can take on limited-time challenges and earn special gear. We’ll keep you updated as we learn more.